"More Hold'em Wisdom" for all players will help you refine your hold'em game. 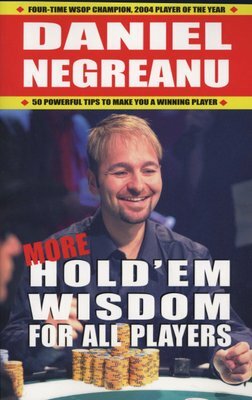 Build on the 50 concepts and strategies covered in his first book, "Hold'em Wisdom for All players", Daniel Negreanu offers 50 new and powerful tips to help you win money at Hold'em Cash and tournament games! 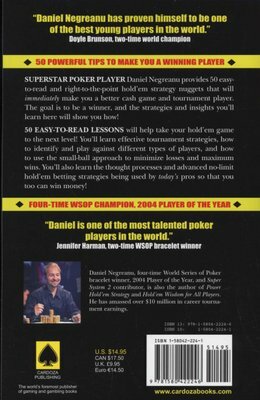 If you love playing poker, you owe it to yourself to learn more ways to polish your skills, and get the most enjoyment you can from the game. Learn the thought processes and advanced no-limit hold'em betting strategies being used by today's pros, so that you too can win money!